This list contains several surprises. Since the Taj Mahal ranks on fiftieth and final place with 2.4 million visitors a year, several popular favorites like the the Prado (2 million), the Uffizi (1.6 million), Angkor (1.5 million) and Stonehenge (850,000) didn’t appear in the list. And while Western audiences may not be familiar with names like Everland and Lotte World, these South Korean mega-parks managed to rank 16th and 22nd on our list, respectively. Not surprisingly, the French are out in force. 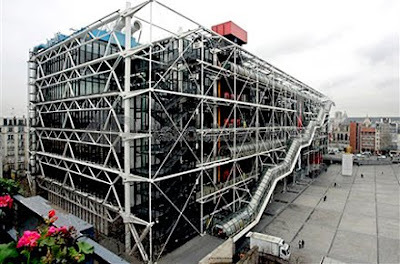 How to account for the preponderance of attractions in Paris? According to the latest statistics report from the World Tourism Organization, France receives more foreign tourists per year than some 76 million tourists peryear. Spain followed with 55 million, the United States with 50 million and China with 47 million. Italy rounded out the top five with 37 million. We excluded religious pilgrimage sites, such as Saudi Arabia’s Mecca, India’s Varanasi, and Tokyo’s Sensoji Temple, which according to the Japan Tourism Authority receives over 30 million visitors each year. 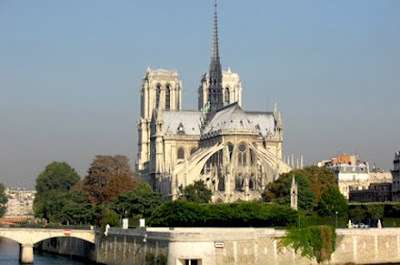 We chose to include some famous churches in Paris owing to their status as cultural attractions and the high numbers of foreign tourists they receive. 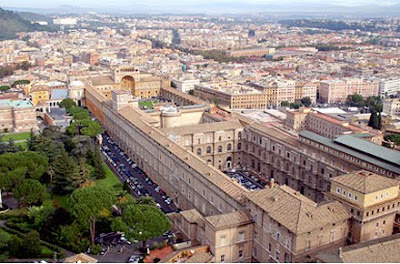 St. Peter’s Square straddled the line, but there are no estimates for tourist traffic versus religious attendance, so we included only visitors to the Vatican museums. 1. Americans love to travel, but they prefer to stick within their own borders. 2. Wherever Mickey Mouse goes, he conquers. 3. Paris is the unofficial cultural theme park of the world. 4. 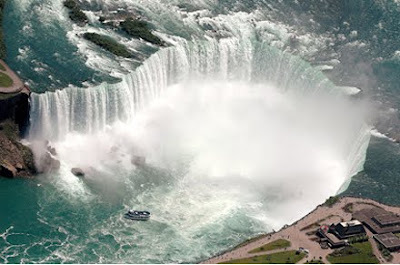 Niagara Falls isn’t just for lovers anymore. So who’ #1? The Eiffel tower? 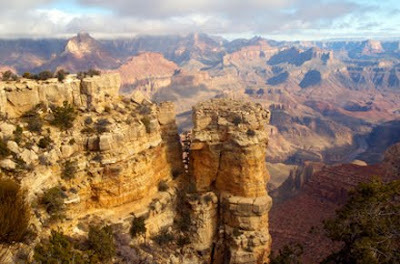 The Grand Canyon? The Great Wall? 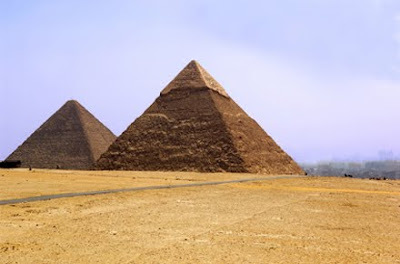 The Pyramids of Giza? Answer: none of the above. The one and only. The most romantic building in the world, the Taj was built by 17th-century emperor Shajahan who married the 14-year-old Arjumand Banu (whose beauty was already legendary). She bore him 14 sons and died in childbirth. 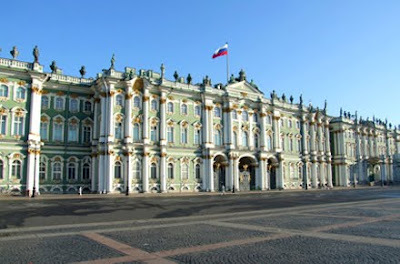 Peter the Great’s “Russian Versailles” is now one of the world’s greatest art collections. Last year the museum weathered a break-in that cost over $500,000 in lost art, but recent international ventures, including a permanent exhibit in Las Vegas, have proved popular. After Mt. 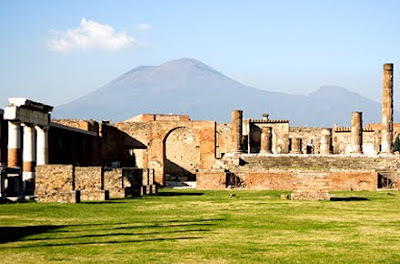 Vesuvius erupted in 79 A.D., most of the citizens of Pompeii got out, and the rest became exhibits. All of the ancient town is yet to be uncovered, and the ruins of nearby Herculaneum also draw visitors. One in three visitors to Egypt visit the pyramids, but only 300 are allowed inside the structures per day. Alas, the only extant wonder of the ancient world was recently barred from competing in a web contest to name the modern seven wonders. 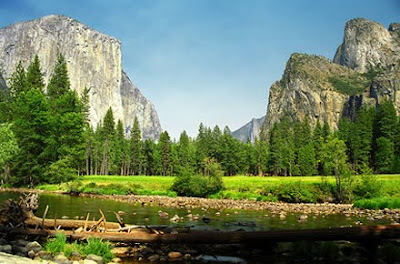 During peak season, the Yosemite Valley can feel downright congested, because it is. The shuttle bus system is a start, but there have been more and more calls to eliminate automobiles from the main loop altogether. In the meantime, a new $1.3-million visitor center features all manner of interactive exhibits for the kids. 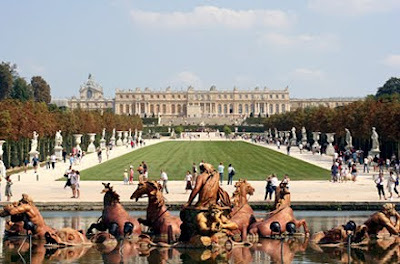 Once the seat of the French monarchy and now a dazzling repository of mirrors, chandeliers and decadence in a tony Parisian suburb, the Palace of Versailles continues to be a huge attraction. Some recent publicity has helped—last year the French government made a rare concession in allowing Sofia Coppola to film “Marie Antoinette” on the palace grounds. Opened by Tony Blair on New Year’s Eve, 1999, one of the world’s largest observation wheels was originally intended to last only five years. 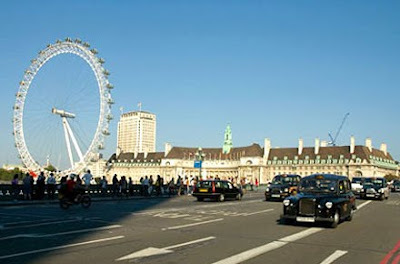 Now owned by Tussauds (and sponsored by British Airways), the Eye is one of London’s biggest tourist draws. The Millennium Dome wasn’t so fortunate. 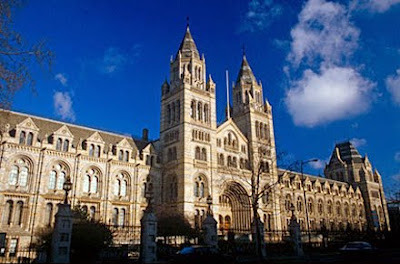 The stately Museum of Natural History has been delighting Londoners since 1881. Featured attractions include the bones of a whale that accidentally swam up the Thames, a giant squid named Archie and several specimens collected by Mr. Darwin himself. 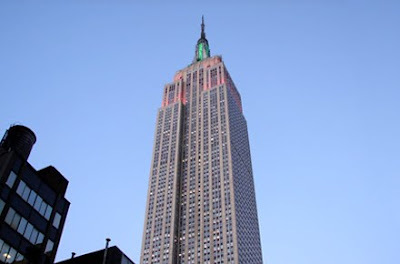 New York’s own Eiffel Tower is the world’s most iconic skyscraper, but its visitor count only includes those visitors who pay admission to take the elevators up. As for all those who contemplate the New York skyline, or who crane their necks to look skyward at Fifth Avenue and 34th, who’s counting, pal? 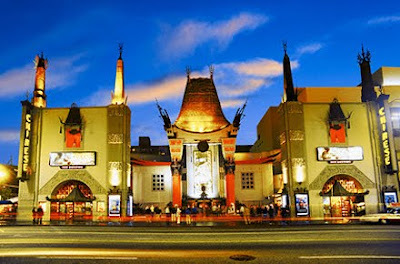 This is still Hollywood’s main attraction, where Mary Pickford and Douglas Fairbanks began the tradition of hand- and shoeprints in wet cement. 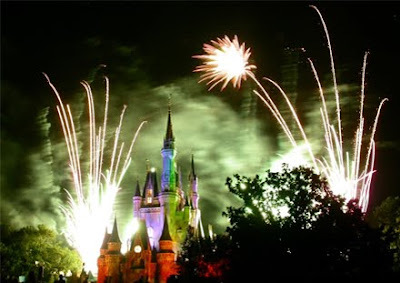 It’s also Another figure hard to pin down, but the theater claims that 4 million star seekers visit each year. 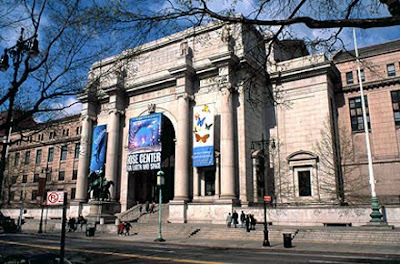 Dinosaurs and mastodons do not roam freely at night, despite Hollywood’s claims, but this seat of countless school field trips remains one of New York’s chief attractions. 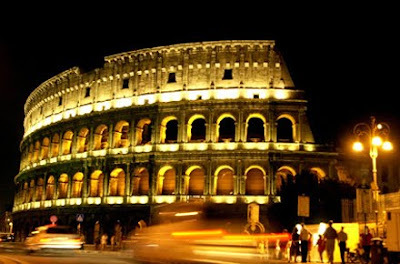 The number of tourists visiting this relic of the world’s greatest empire is largely estimated from tour statistics. Add an uncounted number for those visitors leaning over to look at the ruined temples or wandering to the nearby Forum, and the ranking goes up. But, like our Latin, this number is all we know for sure. 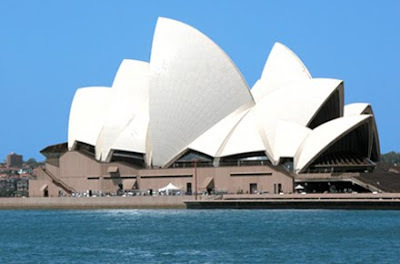 Australia’s only appearance is its famous gull-wing opera house. If this seems surprising in the land of “Hey, mate” and “shrimp-on-the barbie,” remember that one of the world’s most gifted opera singers, Joan Sutherland, is an Aussie. This number reflects those visiting the Vatican itself, not the pilgrims who gather in St. Peter’s Square. Since this list does not count religious shrines as tourist attractions, it’s impossible to measure its tourist-only numbers. It’s fair to say that if there were reliable figures for places like Tiananmen Square and perhaps Moscow’s Red Square, all three would rank higher on this list. 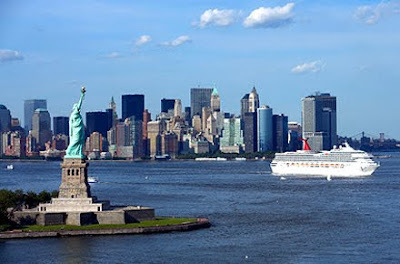 France’s gift to the U.S., beckoning the world’s huddled masses yearning to breathe free, its visitors are counted as those actually visiting Liberty Island. Those gazing, dreaming, or just cruising past, are without number. 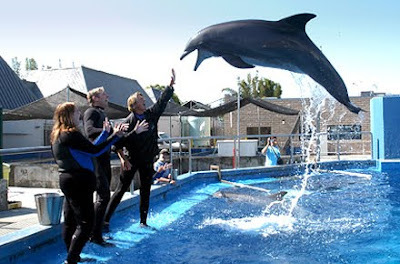 Owned by Anheuser-Busch, the original SeaWorld San Diego was founded in 1964 by four UCLA grads who initially wanted to open an underwater restaurant. 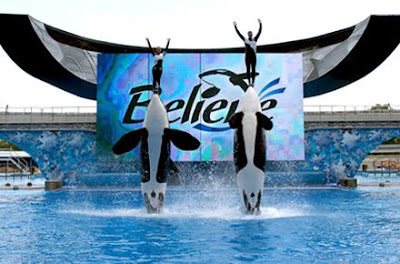 The resort’s new “Shamu Rocks” show promises to combine “incredible images…with dazzling lighting effects, sizzling rock n’ roll music and amazing behaviors.” This is it for amusement parks, folks! Just a couple more, folks: This one features tame African encounters in a zoo with more than 2,000 animals, plus the usual rides and attractions. This not-for-profit amusement park at least has a noble purpose: education. 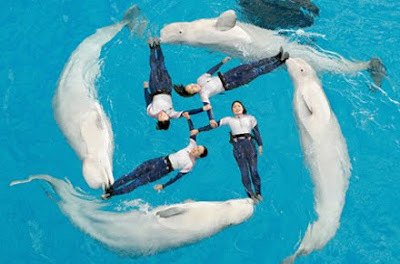 The park’s research program produced the first successful pregnancy of a bottlenose dolphin through artificial insemination. 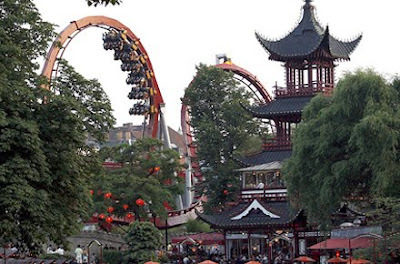 Well, thankfully, an old, graceful and venerated amusement park: Founded in 1843, with gardens to die for, Denmark’s leading attraction boasts a wooden roller coaster and a huge, old-fashioned carousel. Though there’s no pretense at counting the number of highway drivers who cruise past America’s most spectacular ditch, “official” visitors admitted to the park were the second highest in America for a natural attraction. Considerably fewer rode to the bottom on mules. 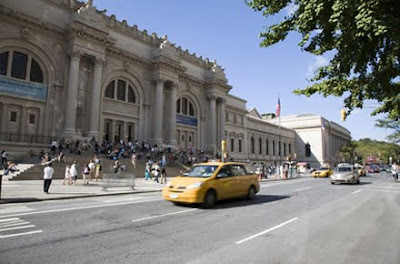 The dowager queen of U.S. museums boasts one of the world’s finest collections of Roman and Greek antiquities. But the old girl showed her hipness with a podcast of a Van Gogh show narrated by Kevin Bacon, which became a top-100 download. This great London museum houses London’s most remarkable collection of Western European painting—from Leonardo’s Virgin on the Rocks to Van Gogh’s Sunflowers and Monet’s Water Lilies. 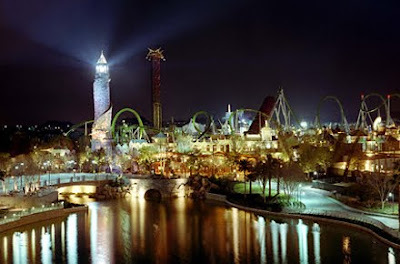 Nope, not through yet: the good news is that it’s the last of the Universal theme parks. 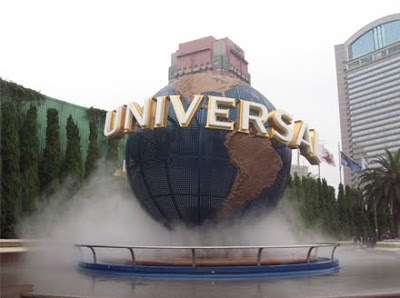 The bad news (for the sake of diversity on this list): Universal Studios is building another park in Singapore, to be completed by 2010. 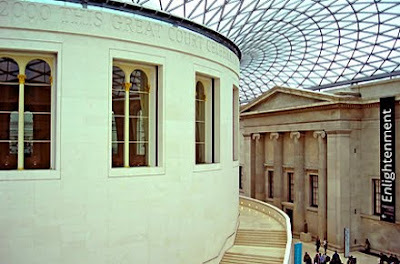 Second to the Tate by a hair, the venerable British Museum, free to the public since 1753, contains some of the world’s rarest antiquities such as the Rosetta Stone and the first known depiction of Christ. The Tate museums are collectively the UK’s biggest cultural draw. 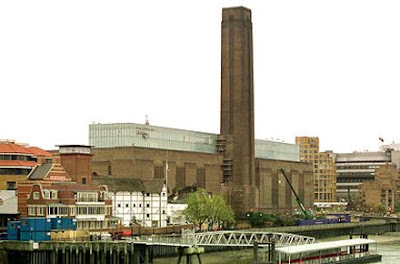 Perhaps surprisingly, the Tate Modern, the world’s greatest museum of international modern art, outpulls the older Tate Britain, which houses more traditional masterpieces. The Tate Liverpool and Tate St. Ives are also popular. The world’s most visited city makes its 6th and last appearance on this list. This "constraint-free" architectural wonder owes its popularity to its pipes-and-all look and to its collection of an estimated 53,000 modern and contemporary works. 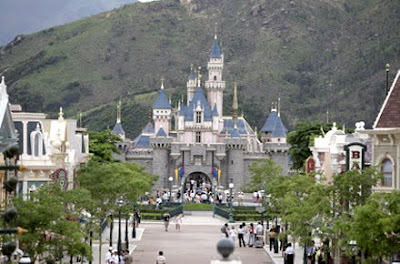 Located on Hong Kong’s Lantau Island, this Magic Kingdom-style amusement empire is the latest and smallest Disneyland. The good news: It’s the last Disney on this list. The bad news: It has ambitious plans for expansion and someday will undoubtedly muscle out some other contender higher up on the list. 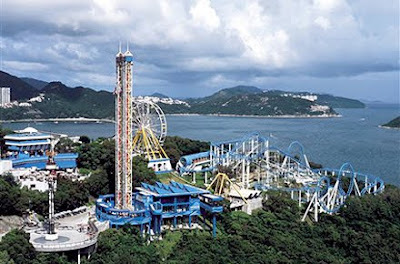 Another amusement park, this is an island at the tip of Yokohama Bay, featuring one of the country’s largest marine life collections, an undersea tunnel, Japan’s first surf coaster and more. And again! 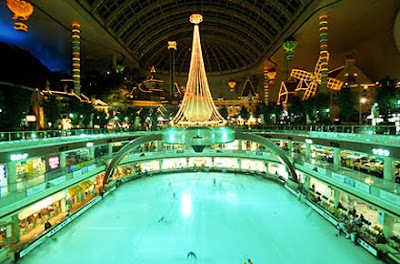 The world’s largest indoor theme park and South Korea’s most visited attraction, Lotte World sold 5.5 million tickets in 2006. But here’s the thing: It closed in January, so go figure. 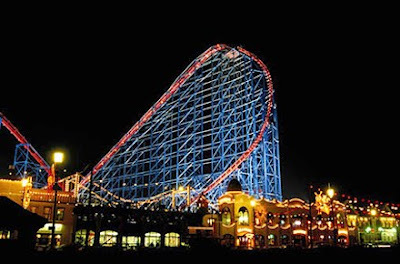 Pleasure Beach, a Coney Island-style amusement park since 1896, is the big draw in paid attendance in Great Britain. Although the recently constructed London Eye claims to be the big wheel in U.K. paid attendance, we count Pleasure Beach considerably ahead. 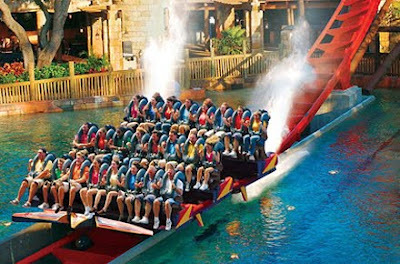 Again, no figures on duplication of visitors, but the number of screamers at Universal Studio’s “Fear Factor Live” and screechers at companion Islands of Adventure’s “psychological thrill rides,” are similar. This double TV-themed park adds luster to Orlando’s queen-of-the-themes crown. Some think this is the world’s most visited tourist attraction, but with an official count of 6.7 million paid visitors in 2006, it doesn’t even reach France’s top three in the rankings. 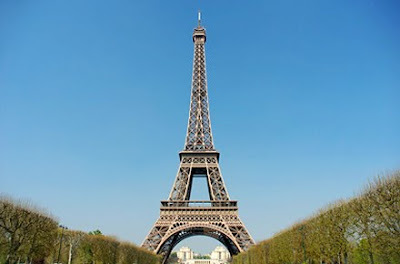 Still, give it this: considering that France is Europe’s most popular tourist destination, and that every visitor to Paris gazes at the Eiffel Tower, it has a distinction beyond the number of paid visitors to the top. Mr. Eiffel’s iron masterpiece is arguably the world’s most famous monument. Another tough one to rank. 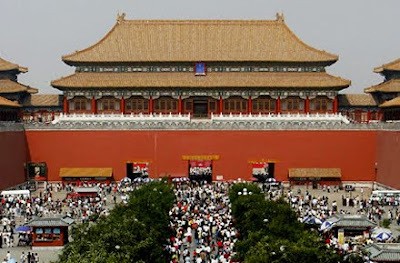 Published sources estimate the number of visitors to Beijing’s former imperial palace, set in Tiananmen Square. However, no figures are available for the tourist foot traffic in the square, nor is it clear how many are visitors and how many are residents. In any case, the Forbidden City is the area’s chief attraction. What is measurable is that China’s once-paltry tourism is gaining fast, like everything else about the world’s most populous nation. Neck and neck with the Louvre in the 14th spot is yes, another amusement park—this one South Korea’s largest, with 7.5 million visitors in 2006. 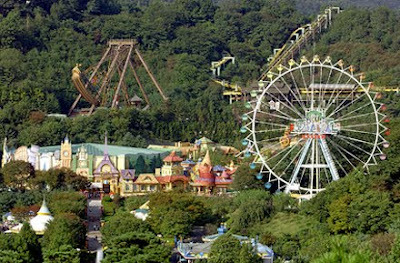 Part of the Everland Resort (whose unreported overall numbers might have pushed it higher on the list), this Disney lookalike is surrounded by a water park and Korea’s first theme zoo. 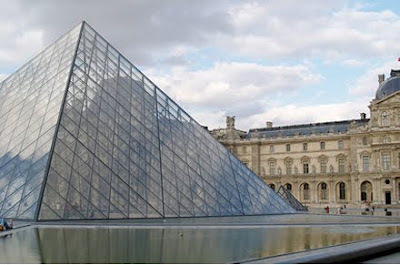 A museum since 1793, this cradle of French history has been everything from a fortress to several kings’ residences, and today is crowned with I.M Pei’s modern shimmering glass pyramid at its entrance. It is the world’s most visited museum, though there have been some oil-rich rumbles that a planned Louvre in Abu Dhabi will go for the gold when it opens in 2012. 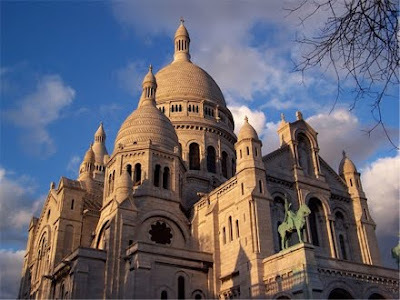 The basilica on a hill overlooking the roofs of Paris shares its neighborhood with the once-naughty Pigalle district. Though we’re not counting purely religious centers in this list, Notre Dame and Sacre Coeur make it because their visitors are overwhelmingly tourists. 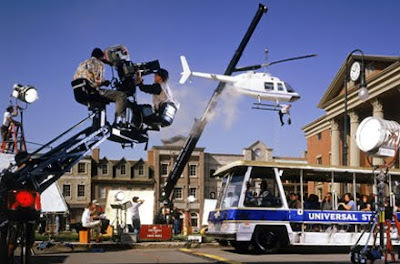 The most visited of Universal’s three studio parks worldwide, it plays host to almost 9 million Japanese Hollywood fans, cementing Japan’s third-place finish in the global tourist-attraction sweepstakes (after the U.S. and France). America’s most visited national park is neither the Grand Canyon, which barely makes it on this list (as measured by visitors at the main entrances), nor Yosemite. With more than 800 miles of protected trails, this natural wonder hosted nearly 10 million people. 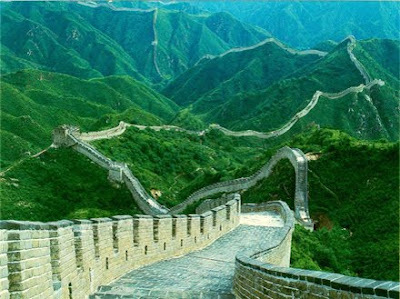 Whether or not it can be seen from outer space, the 4,163-mile-long wall is the world’s longest man-made structure. Though it’s beginning to crumble from the ever-increasing crowds, Badaling, the wall’s most popular strip, welcomes 10 million visitors a year. Formerly Euro Disney, this French amusement park is well past its struggling early years. 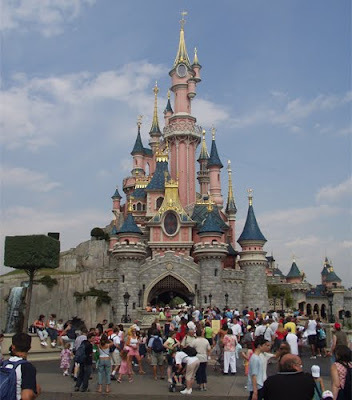 With 10,600,000 visitors in 2006, Disneyland Paris is France’s second most visited tourist attraction. The world’s most familiar Gothic cathedral is France’s main attraction (and not Disney Paris, reputed to be Europe’s top draw). The number of visitors is carefully noted by the Parisian tourist association, and reputedly does not include a certain Victor Hugo back-challenged character. 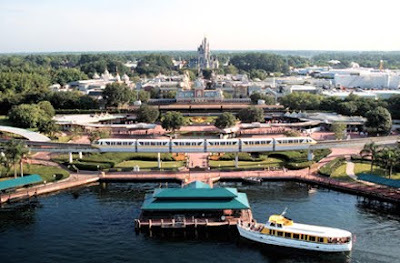 Continuing the Disney rout, the first of its parks to have opened outside the U.S.in 1983, the Tokyo Disney Resort includes both the hugely popular Disneyland and its waterworld partner, DisneySea. Again, no firm numbers on attendance duplication, but a trade publication puts the figure at a pretty specific 12.9 million. Approximately 13 million annual visitors to the heart of San Francisco, its legendary soaring bridge and surrounding park, plus its bustling fish-and-chowder pier, helping to account for the city’s worldwide appeal. 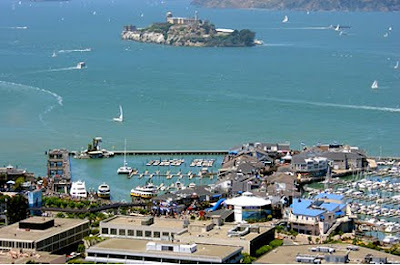 (San Francisco is usually cited as the first or second U.S. city foreigners say they want to visit.) Our figures come from the fact that 14.6 million visitors visit SF per year, and almost all show up at the wharf and the bridge. It might not be the tallest of its kind (Venezuela’s Angel Falls are the world’s highest at 3,212 ft.), but this tumbler’s location straddling two countries, breathtaking views and of course the romance and honeymoon factor account for nearly 14 million visitors every year. Open since 1955, the grand dame of the Disney parks continues to be the top tourist attraction draw in California, even though it occupies a much smaller area than its Florida sister. 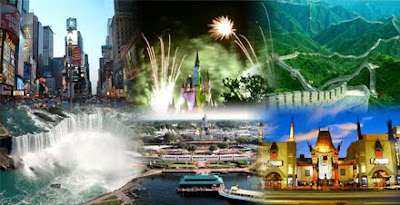 Almost all the international Disney parks dominate the country in which they’re located. 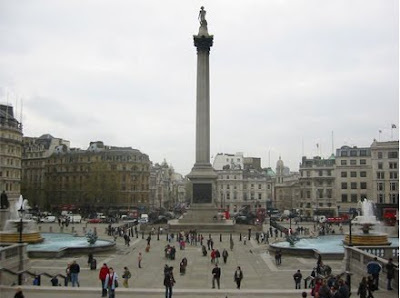 Lord Nelson and the British Navy defeated a combined French and Spanish force in 1805, and a grateful country built a splendid public square to commemorate the occasion. 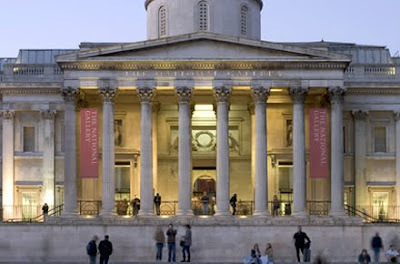 Now a popular spot for demonstrations, concerts and New Year's Eve celebrations, Trafalgar Square feeds popular attractions like the National Gallery. Note: This is an estimated figure from the Greater London Authority extrapolated from pedestrian counts. Florida’s most popular attraction opened on October 1, 1971—16 years after the birth of its older sister, Disneyland, in Anaheim, Calif. Disney doesn’t release attendance figures for its parks, however the TEA/ERA Theme Park Attendance Report confirms that the Magic Kingdom is the most popular of its Florida attractions, followed by Epcot, Disney MGM Studios and Animal Kingdom. A cumulative figure (ie. 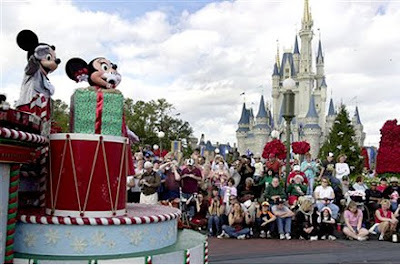 total number of people who visited the Disney World theme parks) would likely not alter the Mouse’s ranking. 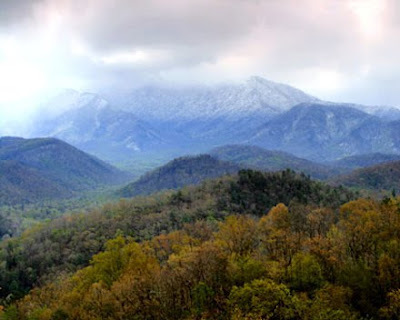 The nation’s premier national park and its monuments and memorials attract more visitors than such vast national parks as the Great Smoky Mountains, Grand Canyon, Yosemite and Yellowstone -- combined. 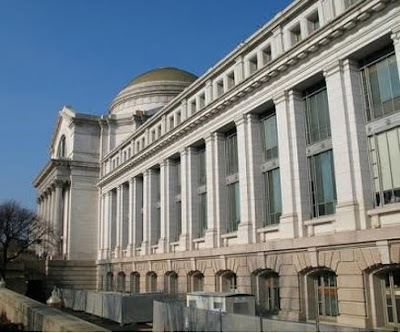 The nearby Smithsonian museums of Natural History and Air & Space welcome more than about 5 million visitors apiece. 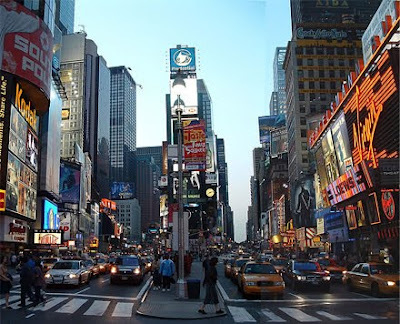 An estimated 80 percent of the Big Apple’s 44 million visitors head for Broadway (including the considerable theater crowds) and end up gawking at the world’s most garish neon crossroads. 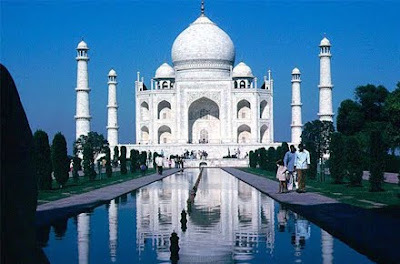 Most people only know the taj mahal from the iconic pictures taken from its front lawn. Anyone who has not seen the inside is missing out on the single most amazing piece of art on earth. It is with out comparison.